Mmm...Homer. 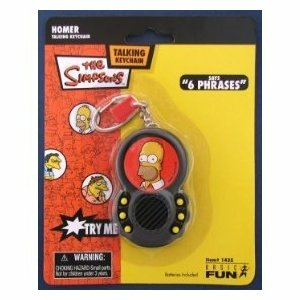 The loavable oaf of a husband and father is back in his very own talking keychain. Press the six buttons to hear six classic Homeresque phrases.